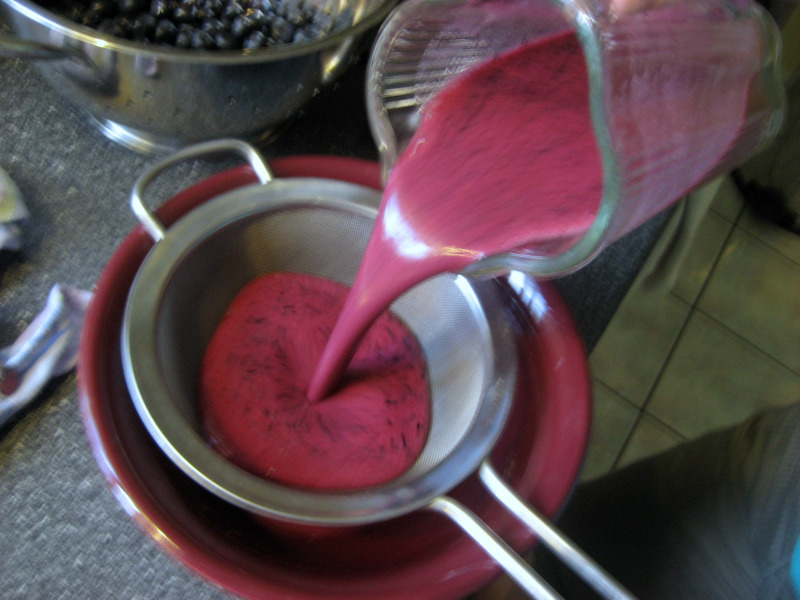 From Field to Freezer: Vegan Blueberry Sorbet – Is It Vegan? I was stocking up on vegetables this morning during our weekly trip to the AB Farmer’s Market while @isitvegan scanned the stalls for the vegan muffin lady. Unfortunately, the giant bagel reigns supreme at this market and no vegan muffins were found. As I loaded up my shopping bag with purple bell peppers and pea tendrils I kept eyeing the pints of native berries on all the tables. I almost picked up a pint but then I thought that picking our own berries would be way more fun. Turns out this was a great idea and an economical one at that. The pints of blueberries were going for about $5 at the market. 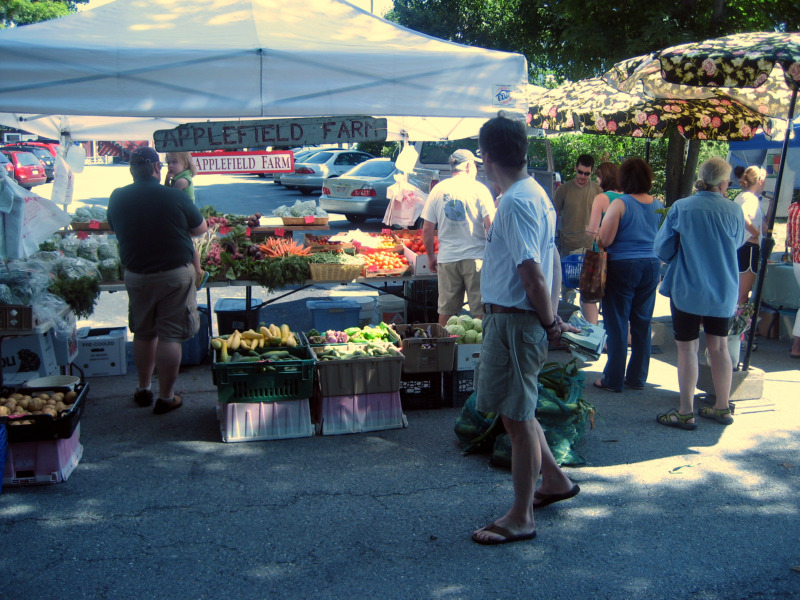 We picked 7lbs of blueberries at Indian Head Farm for about $18. All it took was our ability to brave the 90 degree heat and walk into the grove of net covered blueberry bushes. Once we got home I started washing, drying and freezing part of our bounty. Frozen blueberries are perfect for breakfast smoothies, but I couldn’t decide on what delicious blueberry treat to make and with the summer heat I wasn’t exactly motivated to turn on the oven. Then it hit me… sorbet! One quick Google Search later and I was up to date on sorbets. Most of recipes were fairly similar in nature but I decided on this really simple sounding recipe at myrecipes.com. There were two reasons I chose this particular recipe. One, it was dead simple and two, it calls for culinary lavender, a bottle of which has been sitting in my pantry for 2 months unopened. First you make a lavender infused simple syrup and then blend it together with fresh blueberries and lemon juice. You’ll notice I upped the sugar ratio from the original recipe. Why? Well in my quick research I found this article from Cook’s Illustrated which basically says that increased sugar content is what makes a creamy ice cream like texture. Also- as much as I like lavender you could certainly omit this ingredient or change it up with something different. We recently had a Blueberry-Basil sorbet at MDI Ice Cream in Portland, ME that was fantastic. 1. In a saucepan, bring sugar, 1 cup water, and lavender, if using, to a boil. Add salt and simmer 2 minutes. Transfer sugar syrup to a metal bowl and let cool to room temperature. Strain and discard lavender. 2. In a blender, purée sugar syrup, blueberries, and lemon juice. Strain and discard seeds and skin. Cover and chill sorbet mixture at least 30 minutes and up to overnight. 3. Freeze in an ice cream maker according to manufacturer’s instructions. Transfer to a freezer-safe dish, cover, and freeze until hard, at least 1 hour and up to overnight. That sounds wonderful, and it’s such a lovely color, too. I sure wish I stocked up on blueberries while they were still abundant! There’s always next year! Something tells me I’ll be really happy to have them sitting in the freezer at some point in February. Oh what a lovely combination, Lavender and Blueberry. Sounds like a nice puree for cocktails or lemonade as well. Cheers!